FratelloWatches present on WatchUseek and WorldTempus! 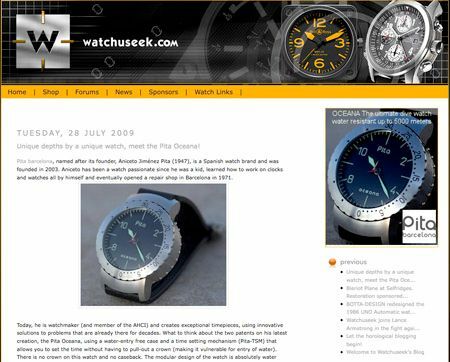 Since a few days, WatchUseek (considered to be the no.1 interactive watch portal) has a blog of its own! I am more than happy to announce that I am participating in that blog as well. Ernie Romers and I go a few years back already, and I feel honoured to be able to make some contributions to WatchUseek. So, keep an eye on the WatchUseek Blog section! Furthermore, please read my latest contribution to WorldTempus about online communities and their value to collectors/aficionados. Click here to read my latest chronicle at WorldTempus!